Northfield will host its First Annual Jazz Festival Friday, August 14 and Saturday, August 15 as part of the community’s ArtSwirl, held annually to celebrate the proliferation of the arts in our community. The Jazz Festival kicks-off in high style on Friday, August 14 at 7:30 p.m. with a very special performance by Butch Thompson and his All Stars, (Butch Thompson, piano; Kim Cusack, clarinet; Charlie DeVore, cornet; Bill Evans, trombone; Steve Pikal, bass; and Tom Andrews, drums). 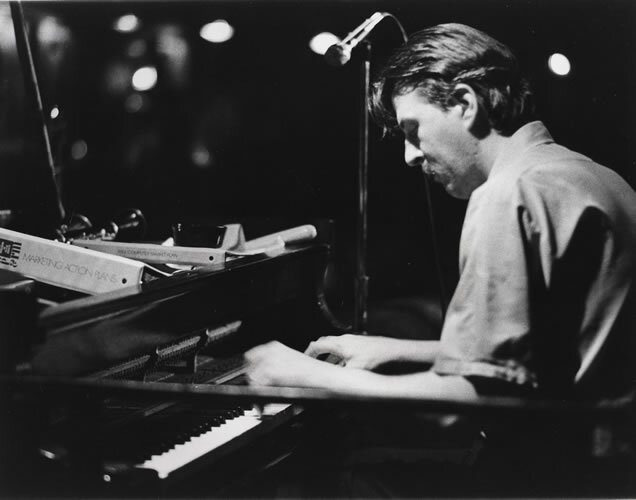 Well known for his long tenure on American Public Media’s very popular “A Prairie Home Companion with Garrison Keillor,” Thompson is considered the premier traditional jazz pianist in America today. The performance will be held in Northfield’s historic Grand Theater. Doors open one hour prior to the show and tickets ($10 adults/$6 students) will be available at the door. On Saturday, August 15, Northfield’s scenic Central Park will provide the backdrop for a day-long outdoor line-up of free musical performances featuring a broad range of local jazz ensembles, including the Joe Strachan Quartet (Noon-1 p.m.), the Over and Back Band, (2-3 p.m.), and Occasional Jazz (4-5 p.m.). The Northfield Arts Guild is celebrating its 50th anniversary year on August 15th, hosting many special activities in Central Park. The Jazz Festival is part of the Sixth Annual ArtSwirl, a celebration of the authentic arts in Northfield, running Thursday, August 13 through Sunday, August 16. For more information, see the ArtSwirl website.